The restaurant “ Il Laghetto” gives you a warm welcome. The restaurant “ Il Laghetto” can be found in the municipality of Castagnole Lanze, in the Province of Asti. It is situated in a peaceful area not far from the built up centre. 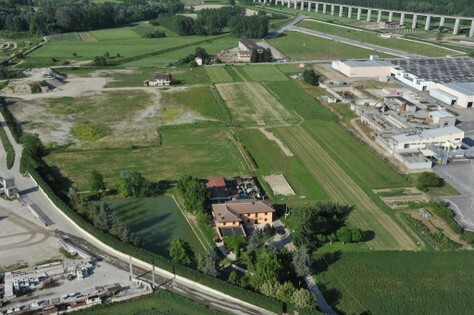 Immersed in the rich green countryside surrounding Asti, here you can find well-being and tranquillity. 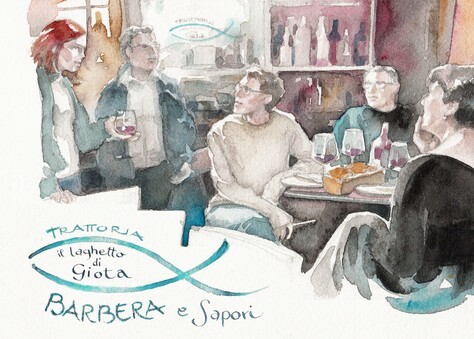 Besides this, there is the opportunity to taste local products, fine wines and typical “Langa” and “Monferrato” dishes, for example “tajarin”, “ravioli al plin”, “ bagna cauda” wild boar, trout, eel and the delicious mixed fry of meat and fish. The restaurant “Il Laghetto” has recently been renovated and it is possible to book for private birthday parties, lunch and dinner, first holy communions and conformations. The playground has also been enlarged so that your children can have fun while you can sit back and relax, enjoying our products. There is also a small lake where you can fish and even an airfield for take-offs and landings for those who have light aircrafts. The restaurant “Il Laghetto” provides a large private car park which is free for clients. We are open all year round, even throughout the Festivities apart from on Tuesdays (which is our day off). During the Summer, we offer the possibility to eat outdoors. Our staff, who are ready to welcome you are on hand to carry out your every request. On the pages “The restaurant” and “Services” you can find a wider and more detailed vision of the building. For further information and for lunch, dinner and party bookings, go to the “Contact” page. Send us an e-mail or contact us directly by phone.